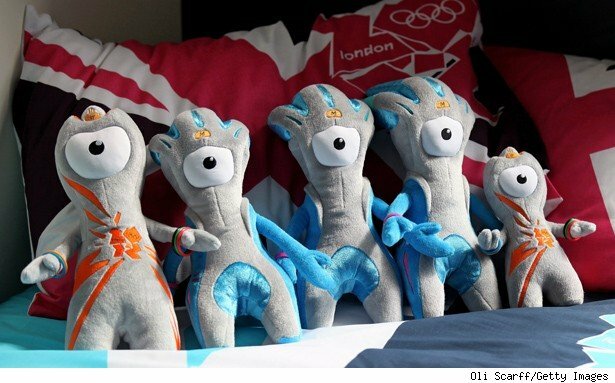 With counterfeit goods accounting for a nearly 1.3 billion pound industry in the United Kingdom, officials are warning tourists traveling to the Olympics to be cautious in their purchases of Olympic-themed merchandise and other brand-name items. The U.K. Border Force and police in London have already seized thousands of pounds of counterfeit Olympic items at ports and airports, ranging from lighters to T-shirts to totes. If you've ever bought a counterfeit (knowingly or unknowingly), you know that you get what you pay for: shoddy workmanship, rapidly fading colors, and inferior design. According to the International Trademark Association, customers who buy counterfeits are usually disappointed with their purchases and feel as though their money was wasted. If concerns about poor quality and wasted money aren't enough to sway you away from fake goods, maybe an appeal to your conscience will. According to Interpol, many counterfeiters employ child labor, and many counterfeiting activities help fund organized crime and terrorist activities. Plus, the Olympic Games depends on the sale of legitimate items to cover the costs of staging the elaborate sporting event. It used to be relatively easy to identify a counterfeit, either by an obviously fake logo or by an unrealistically discounted price. But fakes are getting more convincing, and prices are rising, making it seem as though that handbag or T-shirt is genuine but discounted. Official Olympic merchandise will have a hologram with a rotating logo. And there's only one location outside of Olympic Park with official 2012 London Olympic and Paralympic merchandise for sale: a temporary structure erected on Rotten Row on the south side of Hyde Park. Beware of materials which have incorrectly spelled athletes' names, irregular stitching, uneven coloring, and prices that seem uncharacteristically low. Don't buy on the street, out of a trunk, or from people who say they can get you a deal. When in doubt about a particular vendor or store, ask a local police officer. They'll be out in force during the Games and will know which sellers are legit and which ones aren't. If you're not willing to pay the asking price for a genuine high-ticket item, ask yourself whether you really need it. Lower-cost souvenirs, such as playing cards, pens, and buttons, are great tokens that will bring fond memories without breaking the bank. Molly McCluskey is a regular contributor to The Motley Fool. Follow her travel and finance tweets on Twitter @MollyEMcCluskey.